J.D. Shelburne’s Debut Single “One Less Girl” Gaining Traction At Country Radio | 2911 Enterprises, Inc.
Shelburne’s debut single off ‘Two Lane Town’ picks up adds by 15 Country radio stations throughout the U.S.
NASHVILLE, Tenn. – Nashville recording artist and Country crooner J.D. Shelburne has been very busy lately promoting “One Less Girl,” the first single from his 4th studio album, Two Lane Town. 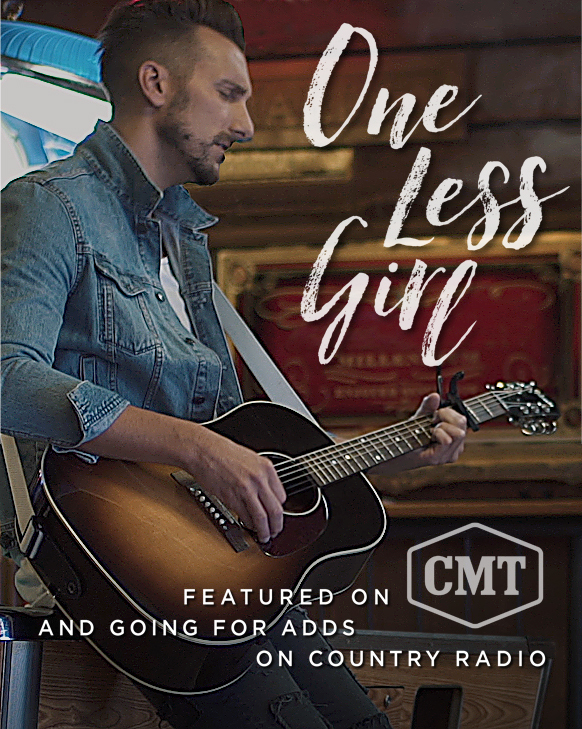 “One Less Girl” made its world-wide premiere on CMT in September (click here to watch), and is now starting to gain traction and make an impact at Country radio, with a growing number of Program Directors adding it to their station’s regular rotation. DEC 12 – Levee at the Riverhouse / Louisville, Ky.
DEC 13 – Premium Club Networking Series @ KFC Yum Center / Louisville, Ky.
DEC 14 – Waylon’s Feed & Firewater / Louisville, Ky.
DEC 15 – The Tea Cup / Taylorsville, Ky.
DEC 16 – Ole Red / Nashville, Tenn.
DEC 20 – Puckett’s / Franklin, Tenn.
DEC 22 – Ole Red / Nashville, Tenn.
DEC 23 – Ole Red / Nashville, Tenn.
DEC 30 – Ole Red / Nashville, Tenn.
DEC 30 – The Bluebird Cafe / Nashville, Tenn.
DEC 31 – Kentucky Castle / Versailles, Ky.
JAN 12 – The Goat / Louisville, Ky.
JAN 16 – Levee at the Riverhouse / Louisville, Ky.
Country Artist J.D. Shelburne grew up on a tobacco farm in Taylorsville, Kentucky, a tiny town southeast of the Ohio River near Louisville, Kentucky. At age 19, he found a guitar after the death of his grandmother and began learning to play and sing on his own. By his sophomore year of college, he had found a few gigs at some local bars in the Louisville/Lexington, Kentucky area and developed a fan-base that eventually landed him on some of the biggest stages in the business, opening for some of the nation’s hottest stars.In the last few years, J.D. Shelburne has become one of Kentucky’s fastest rising stars, with album credits, countless shows, a loyal fan base, charity work that has raised thousands of dollars, and a list full of accolades that sets Shelburne apart from the rest.